When your appearance begins to change (and not to your liking), it can affect your confidence level, especially when it comes to your face. Lowered confidence in turn can change the way you interact with people, whether shying away during social engagements or trying to put your best foot forward during a job interview. For example, patients who have telangiectasia (also known as spider veins) on their face can have a difficult time getting used to the way they now appear. While spider veins typically pose no health threat, their bluish and red lines are signs of injured capillaries and veins and are viewed as a cosmetic issue. If you don’t feel as good on the inside because your looks have started to change, it can be a blow to your confidence. Fortunately, there is a cosmetic surgery solution to spider veins on the face. Before you come in for an appointment for a consultation and possible vein treatment in New York at one of our offices, it would be a good idea to understand the causes of broken capillaries and spider veins on the face. One of the main causes of spider veins on a patient’s face is simply the aging process. As we grow older, skin and veins tend to weaken. Small red spider veins and larger blue spider veins on the face are more easily seen as skin ages and declines in strength. When capillaries break in younger faces, the patient’s skin can repair itself more easily. With age comes less recuperative powers and this is why people see more spider veins on their face as they grow older. Your cosmetic surgeon will ask you about various lifestyle factors when you come into the office for a consultation for spider veins on your face. Examples of lifestyle changes include not exercising and suffering from too much stress. Eyestrain and insomnia can also contribute to spider vein formation on the face. Free radical damage is caused by various factors. For example, overexposure to the sun can lead to spider vein formation in the thin skin right below your eyes. If you smoke, you are damaging veins and arteries in your face. What’s more, the premature aging that comes with smoking will make spider veins even more obvious on your face. Rosacea and related inflammatory skin ailments like eczema are sometimes implicated in spider vein development. This is because such conditions lead to irritation and dilation in the area, adding extra pressure to the small veins and capillaries of the facial region. Spider webs can appear on your face because you have a venous deficiency. This occurs when blood flows backward in the veins. Higher pressure resulting from back-flow damages the walls of blood vessels. Obesity, inflammation and high blood pressure are factors. However, patients can also get spider veins on their face if vigorous hand washing breaks capillaries near the eyes. 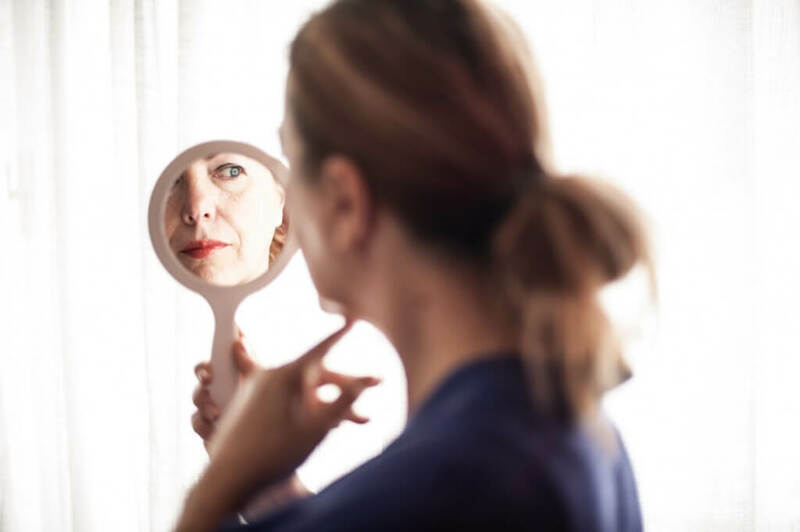 No one should feel that he or she must go out in public with broken capillaries or spider veins on their face when cosmetic surgery treatment is readily available. For more information on the spider vein treatment services we provide or to set an appointment for a consultation, please contact Metropolitan Vein and Aesthetic Center at 914-295-2202 today.